When two people fit together perfectly, the next logical step is a marriage proposal, but finding rings that have the same message just don't always come easily. 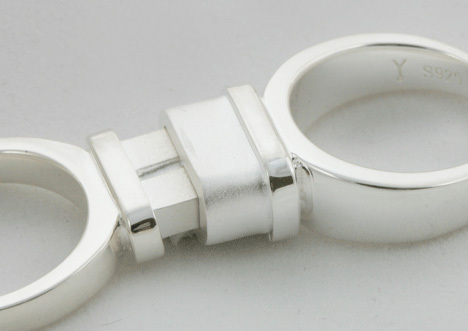 Warning: the contained rings do fit together, but they're just a little bit geeky! 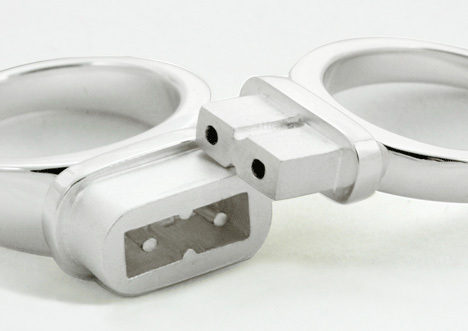 These Plug and Socket Engagement Rings make sure that every couple fits together even when they feel they're growing apart, and that is a statement that can be taken literally. 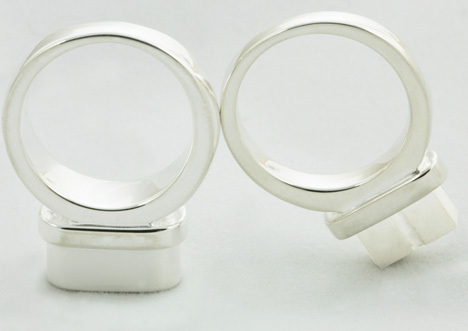 These silver rings contain a plug and socket (one male and one female in design), and they're designed as engagement rings that represent the future. Of course, the geeky design isn't for everyone, but the sentiment is fairly heart warming, since these rings prove that love is electric. I love your blog guys, it's the only one out there I bother to take the time to comment about. Class act Beth and gang! And hey, I'm no longer an annon!